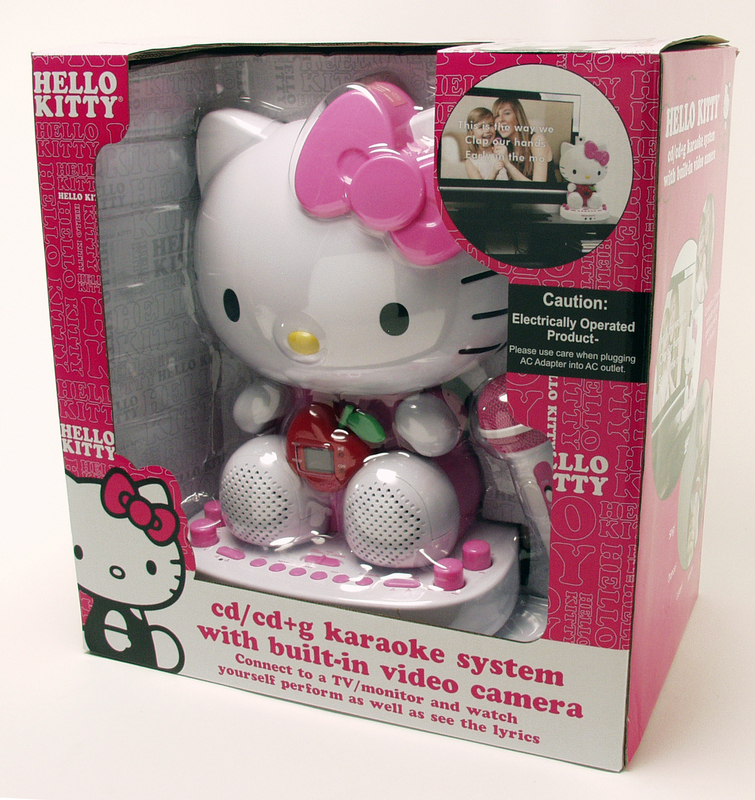 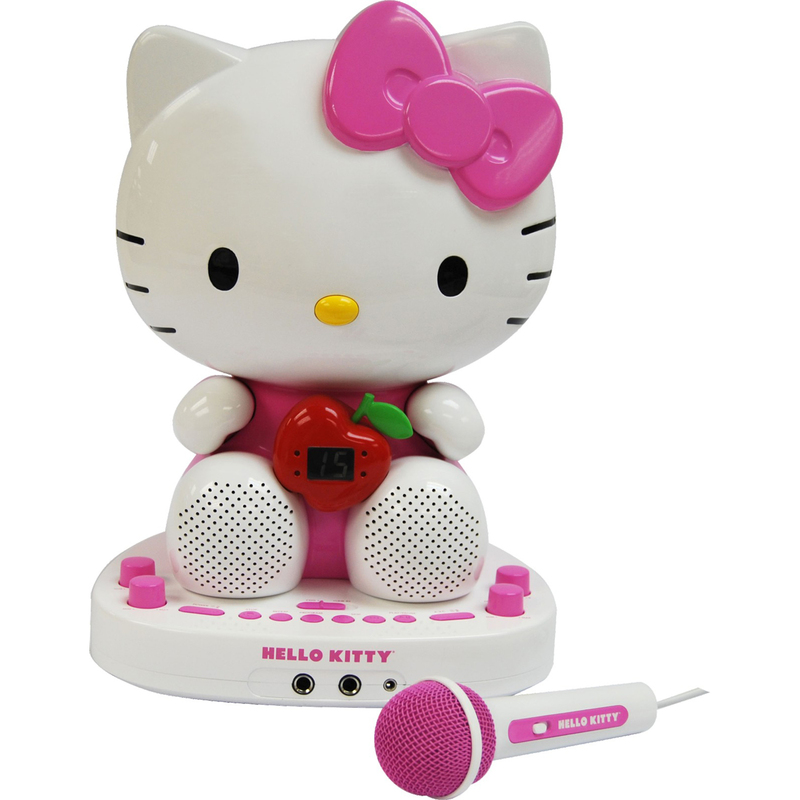 Show off your singing talents to friends and family with the Hello Kitty CDG karaoke system that also includes a built-in camera. 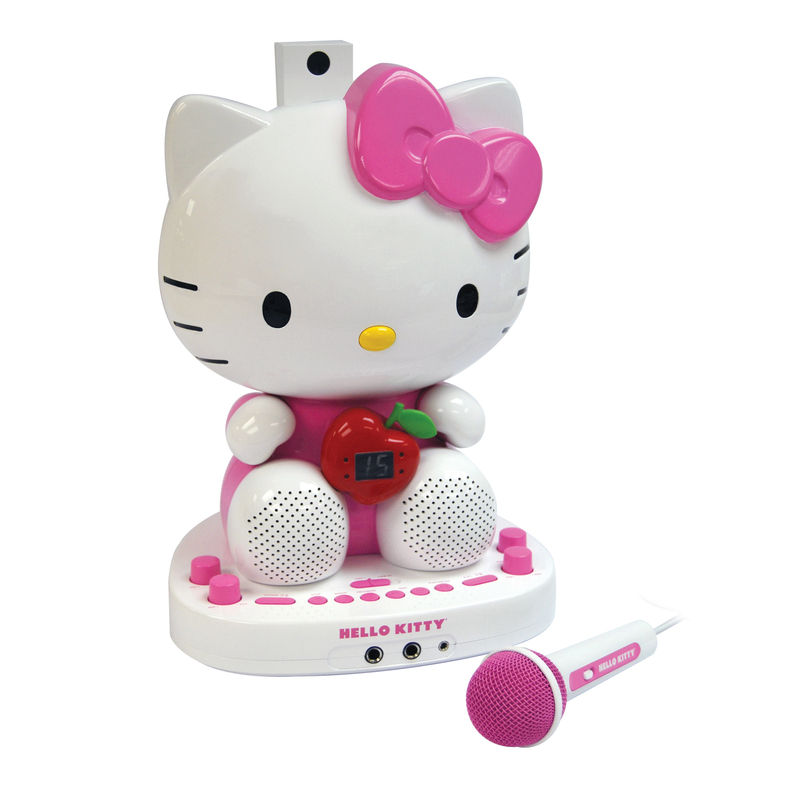 You, and a friend, can sign along to your favorite music and it can all be seen, and heard, by connecting to your television and displaying the song lyrics (CDG disc required), the camera image, or both. The CDG player is CD-R/RW compatible player to handle virtually any homemade recording you may have or you can use the line-in jack to connect external audio devices such as an MP3 player.